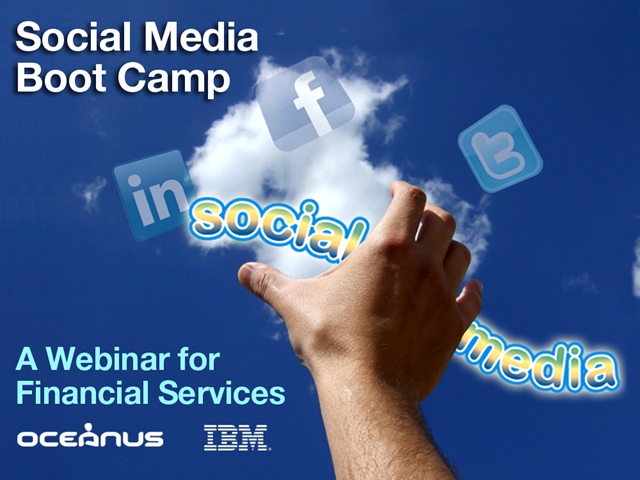 Financial services organizations today must leverage social media to build their business and engage with customers and prospects in real time, while satisfying compliance requirements. Social Media is the new gold standard for customer-centric marketing. Banks and other financial advisors need to understand what customers want, help shape their opinions and ultimately win and retain their business by becoming ingrained in their online consciousness through blogs, online chatter, Twitter, Facebook and other forums. Until recently, due to compliance considerations, financial services entities have been seriously hampered from leveraging social media in their marketing and communications efforts. But now that has changed with the SEC and FINRA’s release of social media guidelines; the rules of online engagement for financial services firms have finally been clearly spelled out and can be addressed with the right tools.